HWY 42 to Warsaw, right pass the Save A Lot, turn on Leonard to left on Riverview. Awesome river views in the heart of Warsaw. 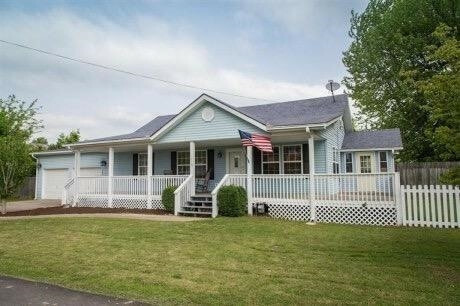 Home is located on a little over a half acre lot overlooking the Ohio River. This private lot feature an in ground swimming pool, covered patio, fenced in yard and plenty of room for a garden. Kitchen, dining and great room all open. Kitchen has granite counter tops and custom cabinets. First floor master with heated floors. First floor laundry!